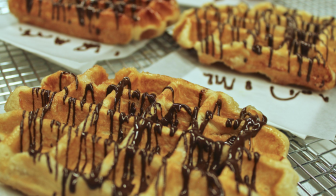 A widely anticipated new dessert option is coming to New Canaan, as Waffle Cabin is slated to open this weekend at Pine Street Concessions. 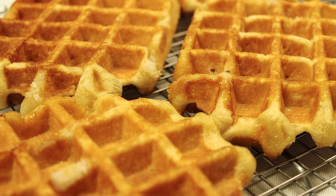 The hot Belgian sugar waffle shop, already known to scores of New Canaanites from the annual Holiday Stroll and area ski mountains, launches at 12 p.m. Saturday with its new counter at the Pine Street food hall. News that Waffle Cabin would set up a permanent location here created plenty of buzz when Londoner announced her plans in December. With the custom-built counter in place, Waffle Cabin rounds out the offerings at Pine Street Concessions, which also features the wood-fired favorite ‘Dante’s Pizza,’ ’Miyuki,’ an Asian noodle shop with an assortment of snacks and ‘Greens On The Go,’ a California-inspired eatery featuring fresh salads, nutrient-rich grain bowls and artisanal toasts. 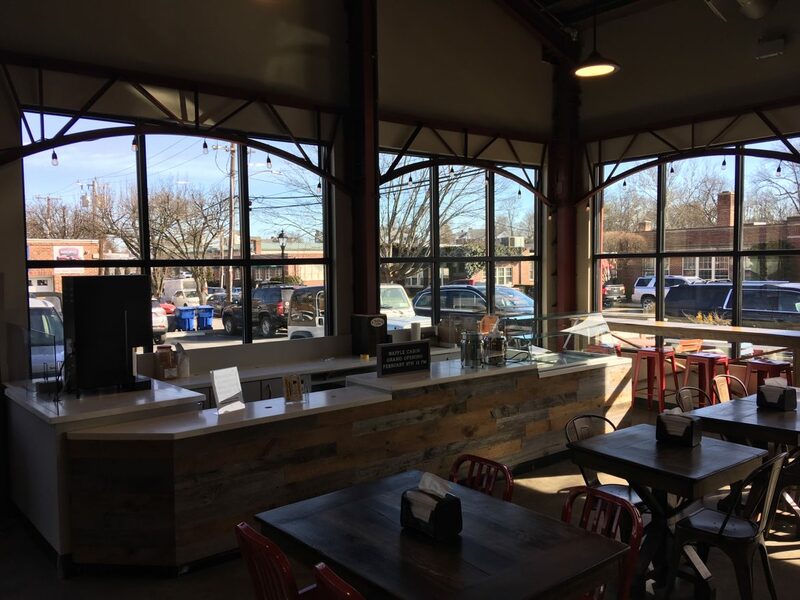 Set against the parking lot-facing eastern window-wall of the space, Waffle Cabin’s attractive wooden counter helps square off the Concessions’ interior without taking away from its roomy feel, clear outdoor views or ample seating. Parts of the Waffle Cabin setup are not yet in place, such as its menu board, signs and all-important waffle irons, which arrive Thursday, Londoner said. 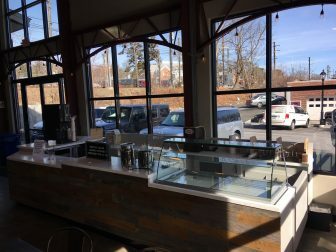 Even so, a sign spotlighting several flavors of SoCo Creamery handcrafted ice creams (chocolate chip, vanilla, mint chip, coffee, dirty chocolate, cinnamon, cookies ’n cream and salted caramel) as well as sorbets (raspberry and mango) could be seen behind the counter. 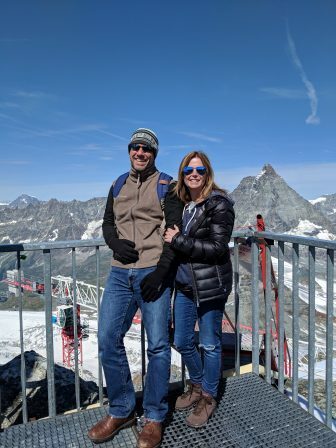 Londoner already has joined the New Canaan Chamber of Commerce, whose executive director, Tucker Murphy, said she’s looking forward to this weekend. 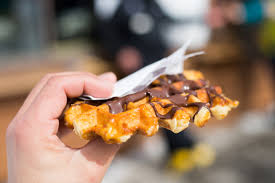 As of now, Waffle Cabin’s hours will be 12 to 7 p.m. Tuesdays through Thursdays, 12 to 8 p.m. Fridays and Saturdays, 12 to 4 p.m. Sundays and closed Monday. Londoner said hours will change depending on the season and as she figures out what the most popular times are. Waffle Cabin also is hiring a part-time waffle cook/assistant manager and those interested should send a resume to wafflecabinct@gmail.com.